AnonD-66400, 15 Aug 2012Can we play hd games on ths ph smoothly and confortably(For e.g.-Nfs shift,max payne)I think it can. I instal Eternal Legacy HD, no problem so far, can play it smoothly. Maybe no all HD games can be played well. is it better than nokia 5800 xpress music ?? How about the battery back up? I have a problem with my phone. It fell on the floor before and the day after that, whenever I used it, lets say, I open Opera mini, it automatically pressed the 'Back' button and even when I'm not using any application, it kept on pressing it, which is, vibrating and annoying. Can someone tell me what caused the problem? I assumed it because it fell. I just want to ask before I send it to the shop for repair. AnonD-36019, 12 Aug 2012If possible charge your mobile when its under 15% and then to 100% continuously, it will incre... moreWell, thank your reply. Xperia mini. surely this one got its own value. choose this over other phone. this phone is a compact type one. Hey guys which is better ? Xperia Mini Or Iphone 3GS ? AnonD-37951, 12 Aug 2012Those who want a status switch (bluetooth, wi-fi, gps, backlight, etc) on the notification wit... moregood app. 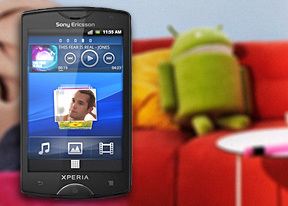 Total of 4821 user reviews and opinions for Sony Ericsson Xperia mini.